Hello! Welcome to Day 3 (of 6) of JustRite Stampers October release! 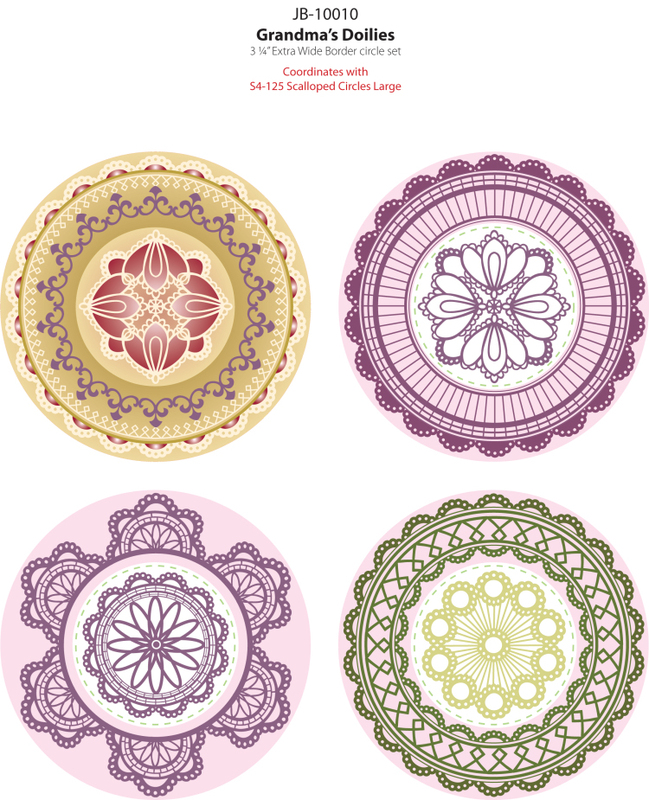 Today we are introducing two new original sets, JB-10010 Grandma's Doilies - Interlocking and JB-10015 Old Friends - Interlocking. 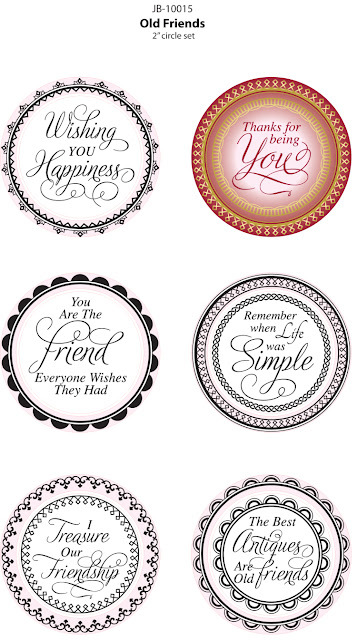 Grandma's Doilies is full of beautiful doilies (both small and large) and coordinates beautifully with the sentiments from Old Friends. 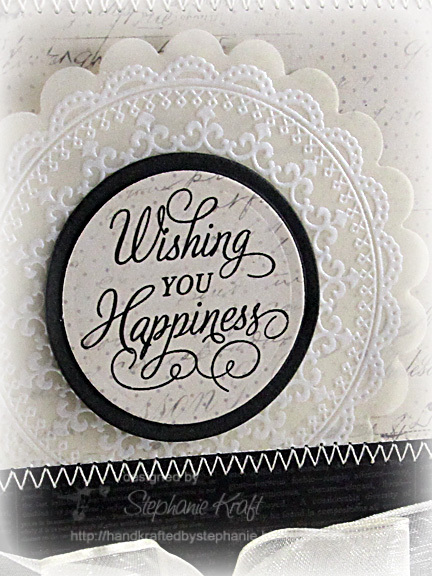 I embossed one of the larger doily images onto vellum, die cut and added the sentiment, "Wishing You Happiness" (from Old Friends). All of this is layered onto one of my favorite paper collections ever by Karen Russell. Although she hasn't been designing lines lately, her Narratives line for awhile, this line is a classic (especially the black and cream, which is what I used here). I adore all of Karen's designs and was thrilled to see this come out in 6x6 size! Accessories: Standard Circle Nestabilities, Scalloped Circle Nestabilities (Spellbinders), Doily Lace border punch (Martha Stewart), Silver pearl embossing powder, Ribbon, Pearls (Kaisercraft), Foam tape, Thread, Sewing machine. This is so very elegant! Love the white-on-white-on vellum! This makes a perfect anniversary card. Very beautiful card, love the black and white, thank you so much for sharing it. Awesome card... love the doily !! That embossed doily stamp is fantastic! Beautiful card.